What is your view on the mental health care scenario in India with respect to the global burden? What I would say is – in India, as is true across the globe – “Houston, we have a problem.” Let me start with the problem of stigma. People with mental issues are shunned, ostracised and stigmatised by their disorders. Although the science has shown incontrovertibly that mental illnesses should be viewed and treated like any other health complaint, this is not the case. Take diabetes, for example. Millions of people across the globe have diabetes. Clinicians treat with a combination of medications and lifestyle changes, and then follow-up with periodic check-ups and monitoring. Is the medication working by controlling the patient’s sugar? What does the blood pressure cuff reading indicate? Was our patient able to make the lifestyle changes necessary to control their sugar, lose weight, get more exercise? Are adjustments needed to the treatment regimen? And this is how it works for any chronic disease; lifelong check-ups, monitoring and adjustments as needed. With mental illnesses, we don’t follow this recipe for success. We fail to acknowledge that people with mental problems cannot control their symptoms any more than a person with diabetes can control his/ her blood sugar. The media portrays these individuals as dangerous psychopaths, which is false. India has this problem of stigmatisation, which only drives people who desperately need treatment into the shadows. We must have a dialogue that educates the public about mental illness, and encourage compassion, offer treatment. The scope of the problem in India is broad, as per a recent in-depth report, about one in six Indians needs mental health help, mental illnesses are strongly linked to poverty and are more common in people of ages 30 to 49 years and more than 60 years of age. There is a higher rate of mental illness in urban areas, but there is still quite a bit in rural areas, where access to treatment is challenging. And even in densely-populated areas, less than one in ten individuals who need professional help receives any treatment at all. We cannot talk about mental health in India without talking about our country’s growing drug problem. We have an out-of-control addiction problem, especially with heroin, opium and synthetic drugs, which are much more potent and deadly than regular street drugs. In Punjab, for example, the government estimates that more than 2 million people are addicts in the state. The statistics in Delhi are equally grim; children are becoming addicted to heroin or opium at age 12 and 13 years. And with 18 per cent of the world’s population that falls in the 15 to 64 years age group, India is a prime target for drug dealers, and they are getting rich off the country’s misery. Addiction to drugs is growing throughout the country and illicit substances are becoming more and more readily available nationwide. The link between mental diseases and addiction cannot be denied. Taking drugs can damage the brain and cause mental illnesses; similarly, untreated mental illness drives many people to take drugs to quiet their symptoms, mitigate their loneliness, lessen the pain of stigma. We know that 60 per cent of people with addiction issues have mental illnesses. If we identify people with one of these problems, they could be treated for both when indicated. But we don’t have near enough treatment centres, clinicians nor programmes that identify people with mental health issues and treat them early in their disease. Most of our country’s resources focus on busting drug dealers instead of helping people to regain their health. Growing incidence of mental health issue in India requires urgent attention. How are we poised in terms of providing better task force and awareness? Research here and the Indian Mental Health Service have been a mixed bag in terms of even identifying the causes of mental illness in India, let alone treating it. We were very focused on gathering data and studying mental health in the 60s and 70s; initiatives to get people to treatment were launched but then the focus would shift and there was never a comprehensive national policy of how to find and treat people with mental health issues. This needs to change. We need to reach people in both rural and urban areas. We need to be sure that our health services screen for both addiction and mental health and get people into treatment promptly. We need many more treatment centers, and to base care on evidence-based methods that are scientifically proven to work. This is the only way we will see the number of tragedies decline, and deal with the mental health and substance use issues so prevalent in our country. The mental health policy calls for recognition of mental disorders and a more accessible and holistic treatment of mental illness, what is your take on it? Yes – as stated, we need people to be screened regularly and to be sure that our mental health service has enough trained professionals to catch the signs and symptoms early. Many mental illnesses start in childhood, so we need paediatricians as well as general practitioners to be involved in identifying patients who need mental health services, and assure they receive prompt, professional care. Science shows that what you may term holistic care – art therapy, yoga, for example – are very effective when administered in conjunction with psychotherapy and medications. There is no perfect programme. Each person will have his or her own set of needs, beliefs and complicated symptoms. There are many roads to success when treatment is based on scientifically-proven methods. Can you shed light on the various treatment modalities and are there any learnings from your treatment centers that you will use in India? As mentioned, there are many ways to get to the promised land of health; what is important is to use methods that research has shown to be effective. 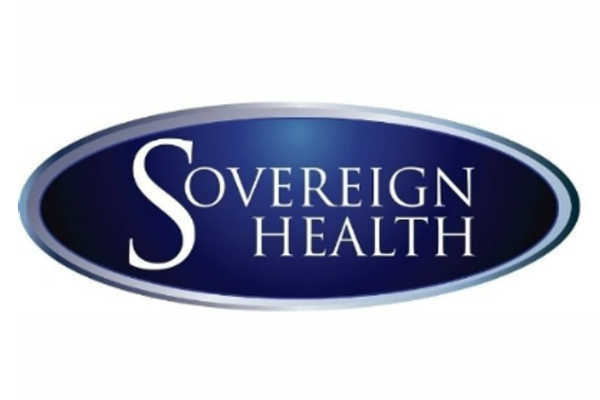 There are several things about Sovereign Health’s programmes that are unique and make us effective, but one that comes to mind is our intake methods. When a new patient presents, we perform a very detailed and comprehensive assessment to make sure nothing is missed. Are there co-existing mental and addiction issues? Is there damage to the brain and rest of the body that will require rehabilitation and cognitive remediation? What are the patient’s preferences in terms of religion, philosophy? What is his family history, is there trauma? Assessing these things up front allows us to design treatment programs tailored to each patient’s unique profile. This gets us off on the right foot and, with the help of eliciting periodic feedback from our patients during treatment, we identify gaps and what is not working, and make the proper adjustments. This is vital in providing each and every individual who walks through our doors the very best chance at succeeding. What are your strategies to increase awareness, remove the stigma about mental health and improve its management? I have a multi-faceted approach. First of all, at Sovereign Health, we use cutting-edge technology to gather data, monitor patients and evaluate how each clinician and every programme is working – that is one of the keys in improving management. In terms of removing stigma and increasing awareness, I present at multiple conferences and author many articles each year to educate people about stigma and its damaging, even fatal, effects on the lives of those with mental illnesses. I also write and present frequently to remind people that mental illnesses are brain diseases, just like diabetes is a disease, that needs compassion, evidence-based treatment and monitoring, probably for life. At Sovereign facilities, we educate the families and loved ones of our patients and assure that these individuals participate in the patient’s treatment programmes if they are willing to do so. We explain why their person is ill and help them to understand the brain chemistry, genetics, social circumstances and other factors that can lead to people developing a mental disorder. In addition, our Sovereign Institute trains clinicians of the future in the facts about mental illnesses and strives to dispel the many damaging myths. Our courses are based in the science of the brain and we train clinicians to use treatment approaches that are proven to work based on the research and what we know about the human brain.